When you are looking to enroll your child into a Montessori school in Gaithersburg, Maryland, you will want to consider a number of factors, particularly the classroom setting. You will want to know whether your child can fully grasp their learning experiences while at the same time enjoy their childhood and make new friends. Inside a Montessori classroom, your child can have both learning and fun integrated. When you’re looking for a preschool in Maryland, consider these benefits that your child can experience when they’re inside our Montessori-based learning system. Our classes have well-trained teachers to assist them in their learning discoveries. Our teachers will interact with your child on a one-on-one basis as the rest of the class is busy with other activities inside. In a Montessori program, children are given the opportunity to explore on their own with the teacher supervising for their safety, accuracy, and progress. This way, the children can make discoveries by themselves and on their own pace. At the end of the day, they will gather as a group for a quick review of what they have learned. When children get to learn something without feeling pressured about the experience, they gain better education and long-lasting learning. Our classes also integrate children of different ages. Since the classroom is designed to accommodate this variety, teachers supervise the way children treat one another so they can build up in their socialization skills. The younger children can feel shy or insecure when they are with older children. But when they are continually exposed with them, they can develop a friendship and learn how to respect one another. Our classes have different activities that the children can explore. With the varied choices, your child can learn to focus on something that really interests them. With this kind of attention, they will know that the learning experience is designed for their own pace and personalized interests. When they have this awareness, they will feel that learning is something that is going to be fun and enjoyable. At Top Hat Montessori, you can trust that your child’s learning progress is going to be for their best progress. 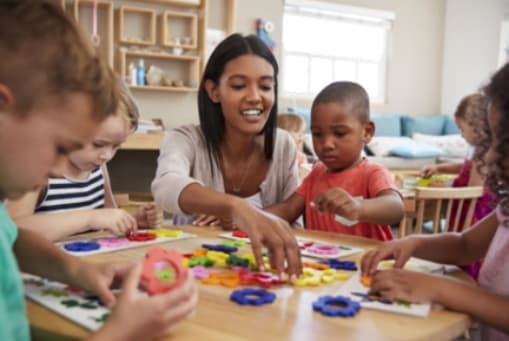 When you are looking for a good preschool for your child, or if you want to find a dependable daycare provider in Maryland, you can always get in touch with us for further information. This entry was posted in Montessori Classroom and tagged child's learning, Education, preschool. Bookmark the permalink.